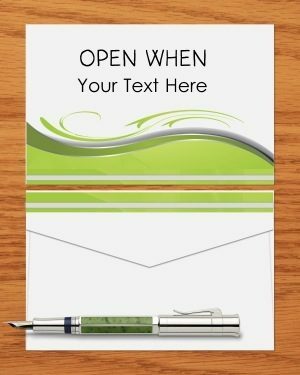 Select an open when envelope template from the selection above. 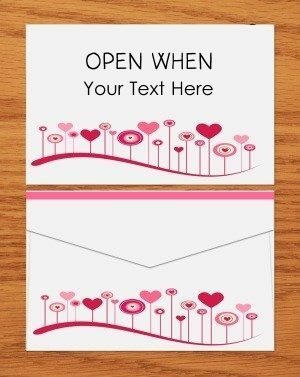 Click on it to customize with your text. 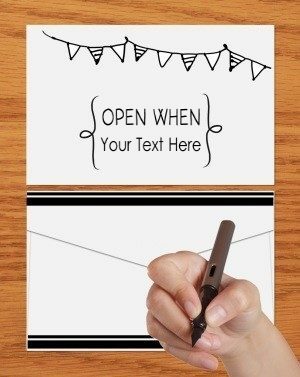 Download the template as a PNG image or as a PDF document. 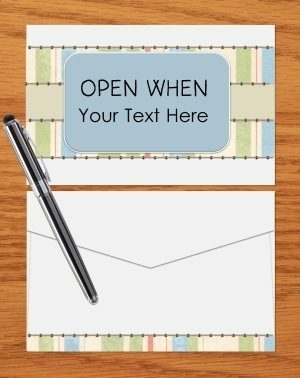 Fold to create the envelope. 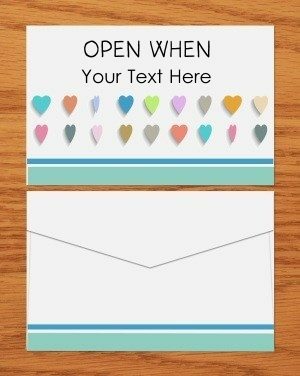 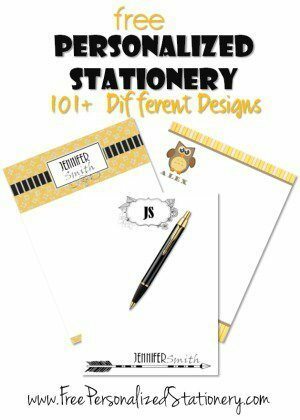 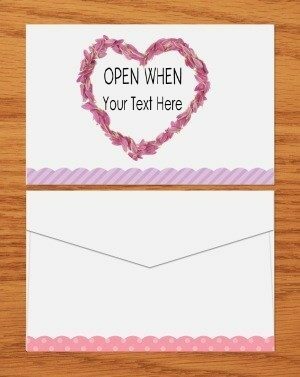 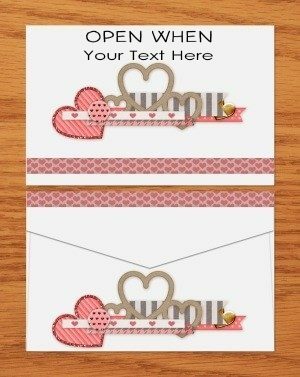 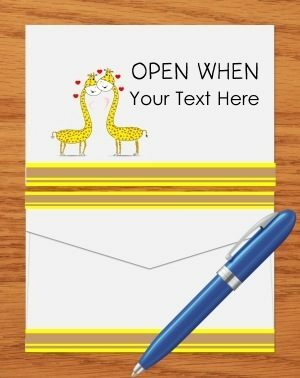 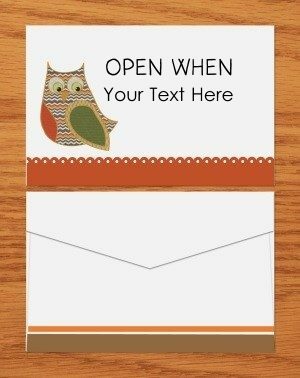 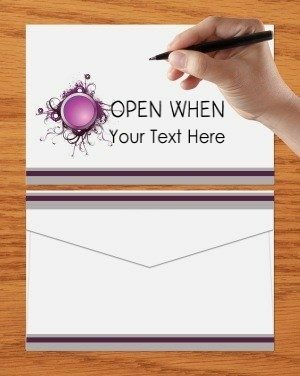 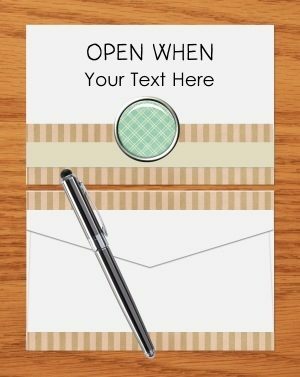 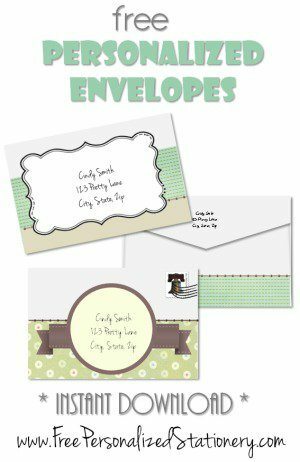 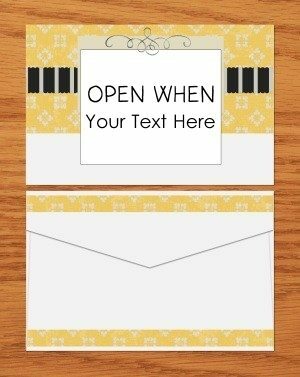 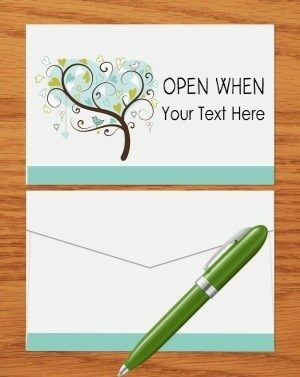 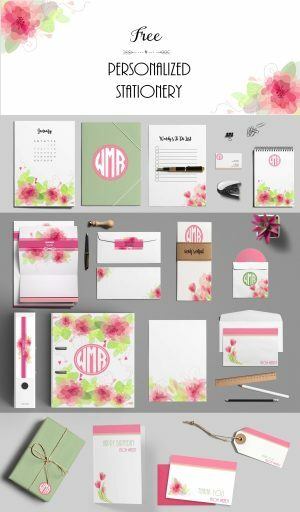 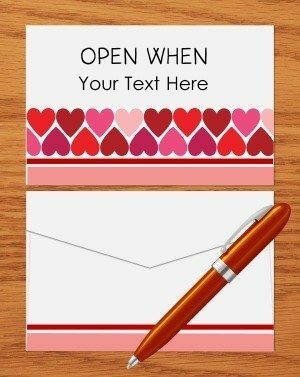 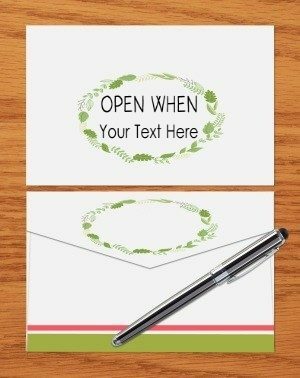 Write a letter or insert a gift. 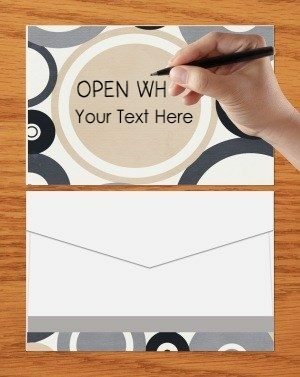 We have many more open when envelopes on this site.